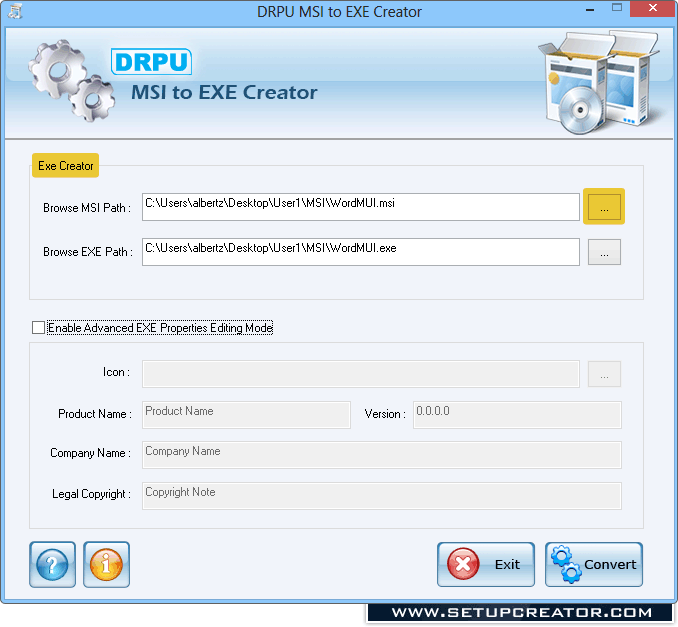 MSI to EXE Creator is converter tool to create .EXE file (Executable File) from existing Microsoft .MSI file format package of your application. 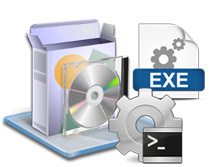 Software creates exe setup from .NET framework MSI installation wizard setup extractor program. Easily convert MSI installer to exe format installer Executable file to release your software product in standard EXE installer setup format. Easy wizard like interface facilitate to convert visual basic installer MSI in EXE format. Original Microsoft visual studio installations .MSI file format, functionality and structure of your application remains unchanged.